My new favorite fall show is NBC’s The Mysteries of Laura. It’s a drama that doesn’t take itself seriously. 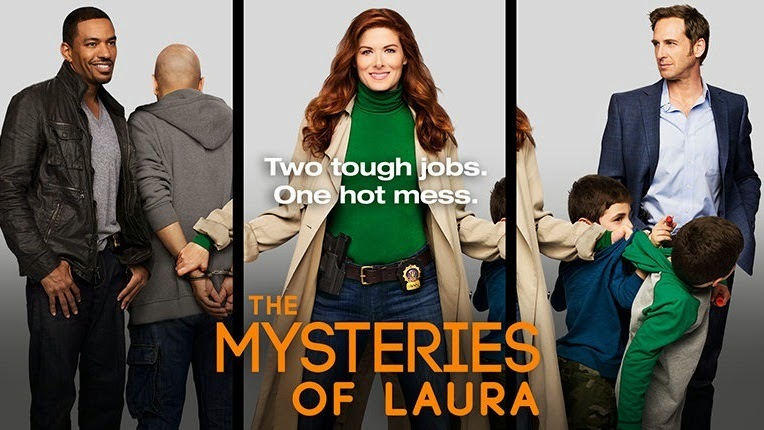 Laura Diamond is a NYPD detective with twins who are out of control and an estranged spouse that is a big kid in a police lieutenant uniform. I have always loved Debra Messing since her days in Will & Grace. Her character is a no nonsense mom who wipes blood from a gun shot wound with a wet wipe, and returns a $375 bathing suit after wearing it in an undercover job in a bath house. I loved the pilot episode which aired last Wednesday and is being promoted along with other Wednesday night fare NYPD and Law and Order SVU. Hopefully, Laura will be around for a while. It’s just the right mix of mid-week fun we need. Previous Previous post: Krusteaz Pumpkin Spice Mix — Is it BuzzWorthy? Next Next post: You will eat three bowls of this soup!